NB. 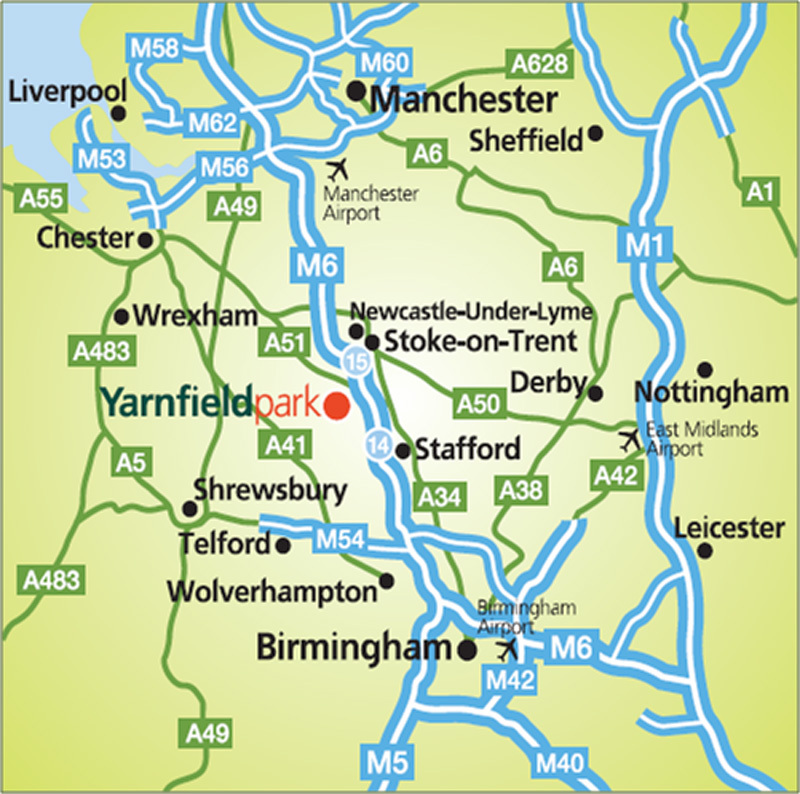 If approaching Yarnfield Park from the south on leaving the M6 J14 your Satellite Navigation system may direct you up the A5013/ Eccleshall Road. However the quickest way is to take the A34 north towards Stone and enter Yarnfield Lane at the Wayfarer pub on the left.